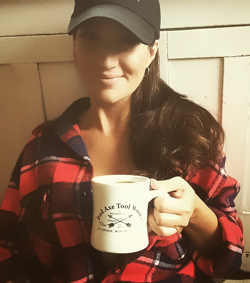 Chop your own wood, and it will heat you twice." --Henry Ford. 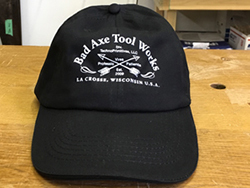 Note: Shipping rates apply to US customers only--international customers are advised to email Bad Axe to receive a shipping quotation before purchasing. 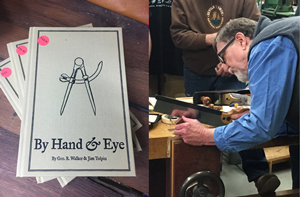 If there was an Obiwan Kenobe of woodworking, George Walker fits that role through the kind of insight one normally obtains through a sound classical education. George and co-author Jim Tolpin, presents easily readable prose how the principles of historical design, proportion and geometry enables one to improve their vision based on historical precedent. 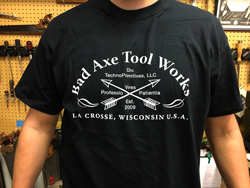 International Customers please email Bad Axe to receive a shipping quotation before purchasing. 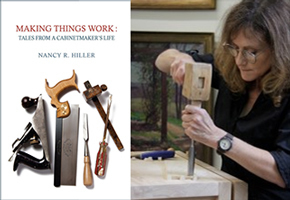 A cabinet-maker's Bildungsroman, Nancy Hiller's story charts a path fraught with adventures both good and bad, savors the victories, and rises above the adversities with an indomitable, creative spirit that brings joy into homes forever imbued with the craft her hands wring into form and beauty. A must-read for those brave souls ready to sally forth into a creative profession where belief in oneself must never waver. 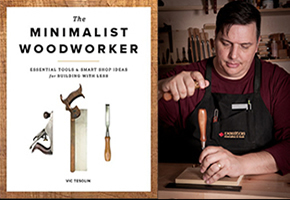 Vic Tesolin is certainly one of the most talented AND personable influencers I know in the hand tool world, and his book addresses those new to the craft who simply don't know what they don't know but want to get started. Vic's simple, well laid-out and effective approach gets you busy on projects with a minimum of arcane b.s. too many on-line 'experts' would have you believe, and without breaking the bank buying unecessary tools. 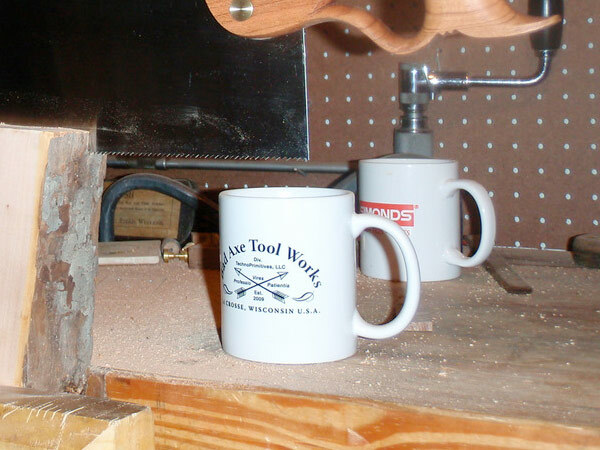 The Minimalist Woodworker is an immediate asset for anyone's burgeoning shop. 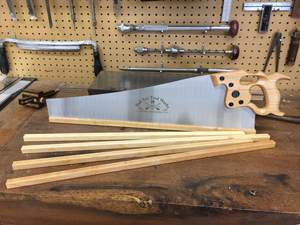 Sawn from a quality hardwood and kerfed by a custom sawblade to fit a .035+ gauge sawplate, these toothguards are a great alternative to the typical plastic binder clip when it comes to protecting your toothline. 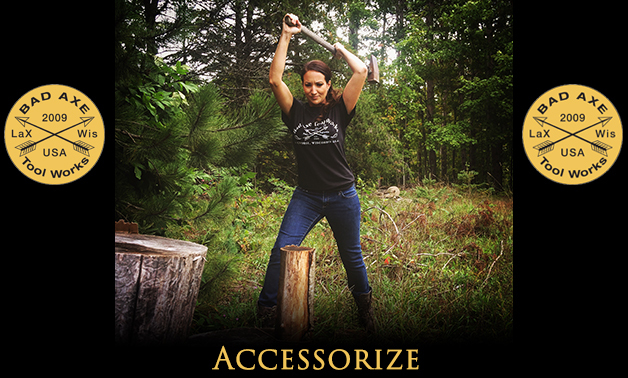 The first one costs $10 due to the nature of hardwood costs and the time it takes to kerf the toothguard, but you can order more at a reduced rate. 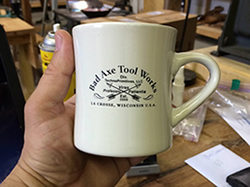 Our customers are always asking, “So Mark—where's the coffee cups, golf caps, t-shirts and calendars?” Well, we put together 'Men of Bad Axe' calendars yet, but we do swill coffee, wear our logos proudly, and so made that happen first. An adjustable black golf cap, pretty similar to the 'Black Hats' who made life miserable for you at jump school, only with our logo on it. Our new t-shirt with logo--basic black. Better wear shades. . . . Note: buy one size larger than what you normally wear, due to shrinkage. 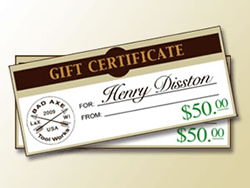 Here's a selection of gift certificate you can apply toward any of the saws or services we sell through TechnoPrimitives and Bad Axe Tool Works.